There are many options when it comes to choosing the right roof for your home that sometimes it can be hard to keep up with the trends. Do you want something that will last a long time? Do you want something that is lightweight and easy to install? Do you want something classic? Do you want something modern? Are you looking for something that will turn heads, or are you looking for something that will go with the façade of your neighborhood? Living in today’s real estate market means that homeowners need to constantly stay up-to-date with the options available to customize their home. It might seem complicated – classic asphalt or chic copper – but it’s essential to know what’s in the market, if you’re looking to repair or renovate your roof. There are just so many options – why can’t I just go with asphalt? At Alpine Roofing, we realize that shopping around for the right shingled roof can be complicated. Most customers gravitate towards regular asphalt – and there’s nothing wrong with that. After all, asphalt is probably the most common material used in roofing and is fairly durable. Your parents were fine with asphalt. Your grandparents were probably fine with it too. Why change something so classic? Cedar. Beautiful, durable, and great for insulation. Cedar shingles can help reduce the cost of heating and cooling because of how well they insulate your home. Cedar shingles typically last around 30 to 50 years, so they are a great choice if you want to avoid replacing your roof every few years. Slate. Looking for something durable and weather resistant? Look no further than slate! These shingles are fire resistant, elegant, thrive in extreme climates, and last for over 100 years if installed properly. While more expensive, slate shingles can be the perfect choice for a homeowner looking to minimize regular roof repairs and installations. Metal. Sleek, easily recyclable, long-lasting, and the perfect fit for a homeowner looking to increase their property’s value. 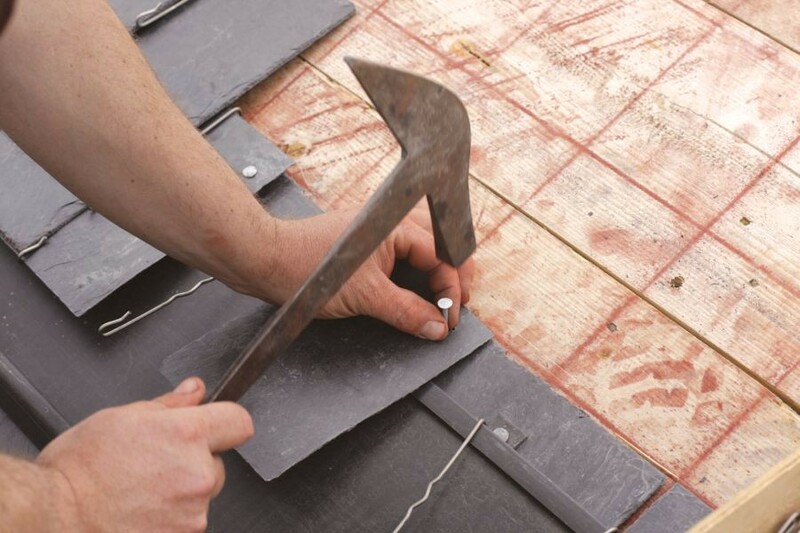 Metal shingles are also light-weight and can last for over 50 years, if properly installed. Clay. If you’re looking for a shingle that doesn’t bleach in the sun and resistant to moisture, you may consider clay tile shingles. In addition to acting as great insulation for your home, clay tiles are also incredibly durable. One thing to consider is that clay tiles are heavy, so we only recommend them for homes with a stronger roof structure that can sustain a great amount of weight. Copper. These shingles are made from a natural material that doesn’t corrode. In addition to not requiring any additional upkeep or maintenance, copper shingles work well for any weather. It is important to keep in mind that some types of roofing are better suited to specific climates. We recommend doing further research before deciding, which includes speaking to one of our contractors to learn more about the options that might be right for your home. Contact us if you’re looking for a roofer in Toronto, North York, or Scarborough to help with your renovations or repairs. We offer free estimate, and are always ready to discuss your next roof installation, renovation, or repair. Visit our website to learn more about choosing the right roof for your home residence.